The Geometric Modeling and Industrial Geometry group is part of the Institute of Discrete Mathematics and Geometry at the Vienna University of Technology. 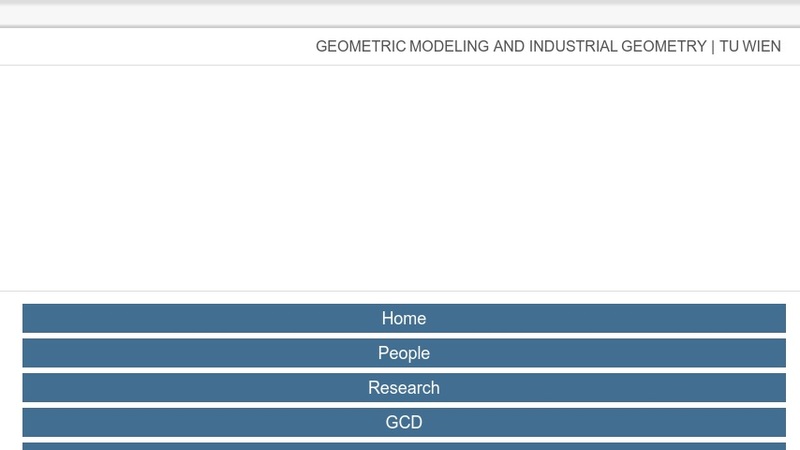 The group's goal is "to bridge the gap between academic and industrial research in geometry" by "performing application oriented fundamental research and industrial research closely connected to geometry." Its work currently emphasizes the recognition, inspection, manipulation, and design of geometric shapes. Short descriptions of the group's work and some articles are available on the academic research, covering topics such as Computational Line Geometry, Laguerre Geometry, approximation in the space of planes, the isophotic metric, and swept volumes. Visitors can also read about the group's industrial research on 3-D Computer Vision, reverse Engineering, and Industrial Inspection. The Application Areas section includes more articles and provides actual data from some of the objects it has scanned along with the resulting 3-D images.